LSU Baseball finished the regular season number one in 2013. 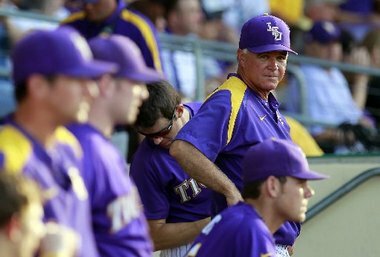 And while Paul Mainieri’s squad were able to make it to the College World Series, they bowed out of that competition early, ultimately coming in seventh place. A fine season for most programs, but a little lacking for the Tigers, who have won six baseball national championships since 1991. They will try to make it seven in 2014. LSU’s complete 2014 schedule is below, with SEC games indicated with an asterisk. Fri, Feb 14 New Orleans Baton Rouge, La. (Alex Box Stadium) 7:00 p.m. Sat, Feb 15 New Orleans at New Orleans, La. (Maestri Field) 2:00 p.m.
Sun, Feb 16 Grambling Baton Rouge, La. (Alex Box Stadium) 4:00 p.m. Wed, Feb 19 Southeastern Louisiana at Hammond, La. (Pat Kenelly Diamond) 6:00 p.m.
Fri, Feb 21 Virginia Tech Baton Rouge, La. (Alex Box Stadium) 7:00 p.m. Sat, Feb 22 Toledo Baton Rouge, La. 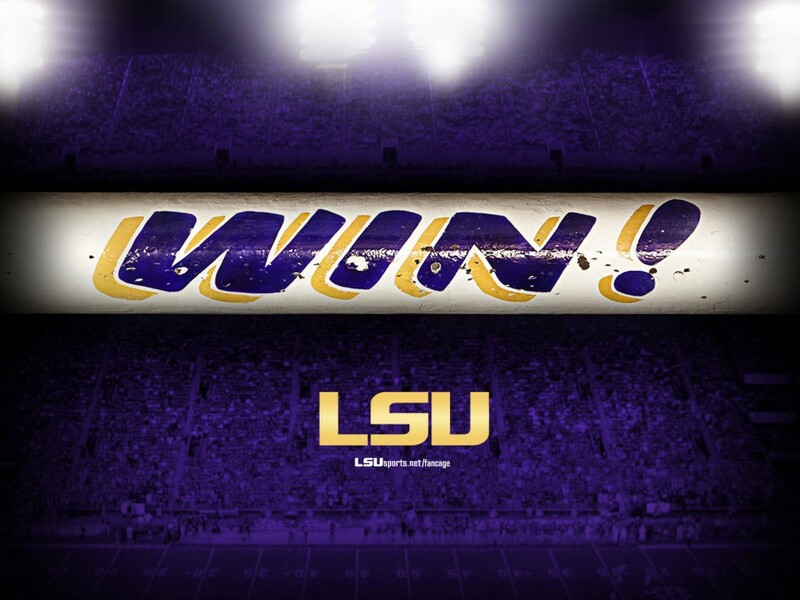 (Alex Box Stadium) 6:00 p.m.
Sun, Feb 23 Texas Southern Baton Rouge, La. 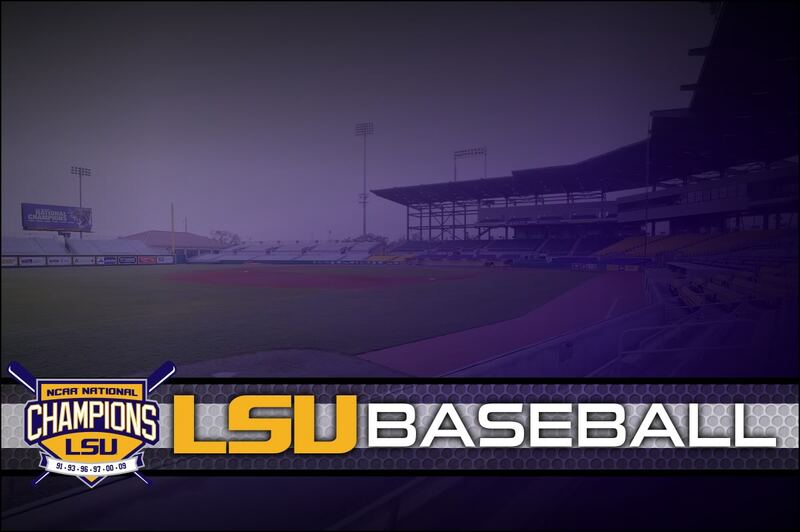 (Alex Box Stadium) 3:00 p.m.
Tue, Feb 25 UL-Lafayette Baton Rouge, La. (Alex Box Stadium) 6:30 p.m.
Fri, Feb 28 Yale Baton Rouge, La. (Alex Box Stadium) 7:00 p.m. Sat, Mar 01 Yale Baton Rouge, La. (Alex Box Stadium) 2:00 p.m.
Sun, Mar 02 Yale Baton Rouge, La. (Alex Box Stadium) 12:00 p.m. Wed, Mar 05 Sacred Heart Baton Rouge, La. (Alex Box Stadium) 6:30 p.m.
Fri, Mar 07 Purdue Baton Rouge, La. (Alex Box Stadium) 7:00 p.m. Sat, Mar 08 Purdue Baton Rouge, La. (Alex Box Stadium) 6:30 p.m.
Sun, Mar 09 Purdue Baton Rouge, La. (Alex Box Stadium) 1:00 p.m. Wed, Mar 12 Southern Baton Rouge, La. (Alex Box Stadium) 6:30 p.m.
Fri, Mar 14 Vanderbilt * at Nashville, Tenn. (Hawkins Field) 6:30 p.m. Sat, Mar 15 Vanderbilt * at Nashville, Tenn. (Hawkins Field) 2:00 p.m.
Sun, Mar 16 Vanderbilt * at Nashville, Tenn. (Hawkins Field) 1:00 p.m. Wed, Mar 19 South Alabama Baton Rouge, La. (Alex Box Stadium) 6:30 p.m.
Fri, Mar 21 Georgia * Baton Rouge, La. (Alex Box Stadium) 7:00 p.m. Sat, Mar 22 Georgia * Baton Rouge, La. (Alex Box Stadium) 6:30 p.m.
Sun, Mar 23 Georgia * Baton Rouge, La. (Alex Box Stadium) 12:00 p.m.
Fri, Mar 28 Florida * at Gainesville, Fla. (McKethan Stadium) 6:00 p.m. Sat, Mar 29 Florida * at Gainesville, Fla. (McKethan Stadium) 6:00 p.m.
Sun, Mar 30 Florida * at Gainesville, Fla. (McKethan Stadium) 12:00 p.m. Wed, Apr 02 McNeese St. Baton Rouge, La. (Alex Box Stadium) 6:30 p.m.
Fri, Apr 04 Mississippi St. * Baton Rouge, La. (Alex Box Stadium) 7:00 p.m. Sat, Apr 05 Mississippi St. * Baton Rouge, La. (Alex Box Stadium) 6:30 p.m.
Sun, Apr 06 Mississippi St. * Baton Rouge, La. (Alex Box Stadium) 1:00 p.m.
Tue, Apr 08 Lamar Baton Rouge, La. (Alex Box Stadium) 6:30 p.m.
Fri, Apr 11 Arkansas * Baton Rouge, La. (Alex Box Stadium) 7:00 p.m. Sat, Apr 12 Arkansas * Baton Rouge, La. (Alex Box Stadium) 6:30 p.m.
Sun, Apr 13 Arkansas * Baton Rouge, La. (Alex Box Stadium) 1:00 p.m.
Tue, Apr 15 Nicholls Baton Rouge, La. (Alex Box Stadium) 6:30 p.m. Wed, Apr 16 Southern Miss at Metairie, La. (Zephyr Field) 7:00 p.m. Wed, Apr 23 Tulane Baton Rouge, La. (Alex Box Stadium) 6:30 p.m.
Fri, Apr 25 Tennessee * Baton Rouge, La. (Alex Box Stadium) 7:00 p.m. Sat, Apr 26 Tennessee * Baton Rouge, La. (Alex Box Stadium) 6:30 p.m.
Sun, Apr 27 Tennessee * Baton Rouge, La. (Alex Box Stadium) 1:00 p.m.
Tue, Apr 29 Alcorn St. Baton Rouge, La. (Alex Box Stadium) 6:30 p.m.
Fri, May 09 Alabama * Baton Rouge, La. (Alex Box Stadium) 7:00 p.m. Sat, May 10 Alabama * Baton Rouge, La. (Alex Box Stadium) 6:30 p.m.
Sun, May 11 Alabama * Baton Rouge, La. (Alex Box Stadium) 1:00 p.m.
Tue, May 13 Northwestern St. Baton Rouge, La. (Alex Box Stadium) 6:30 p.m.